Using Proof of Authority mechanisms to establish a network based on trusted consensus and interledger protocols provides an immense number of options for scalability. The team has proven their expertise by properly addressing all technical, marketing, and legal aspects of their technology. POA Network has already built a collection of dApps to facilitate their technology. 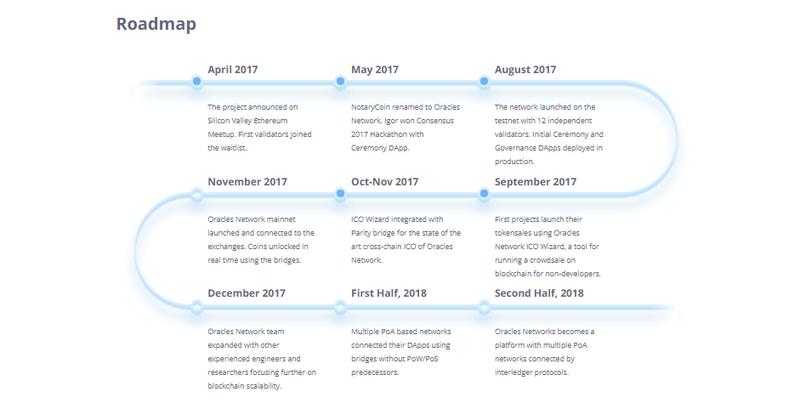 Their testnet launch has been largely successful. 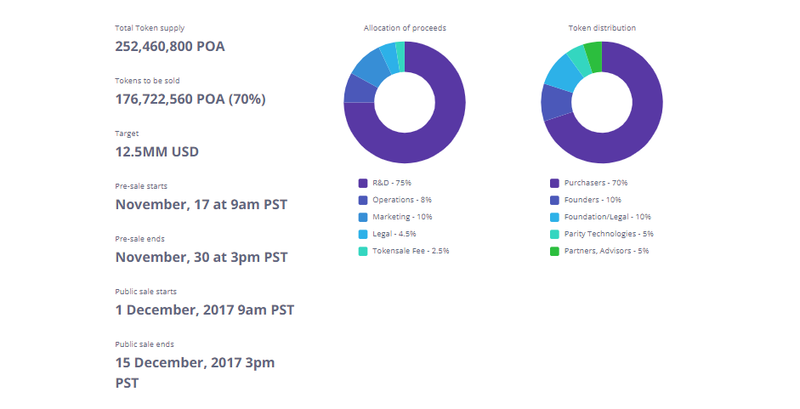 POA Network is an open, public, permissioned blockchain based on the Ethereum protocol. To reach consensus on a global state, it uses a Proof of Authority consensus algorithm. PoA consensus is a straightforward and efficient form of Proof of Stake with known validators and governance-based penalty system. A list of validators is managed by a smart contract with governance by validators. During an initial ceremony, master of ceremony distributes keys to 12 independent validators. They add 12 plus one more to reach initial requirements for the consensus. To be validators on the network, a master of ceremony asks them to have an active notary public license within the United States. A concerned third party can cross-validate validators’ identities using open data sources and ensure that each validator is a good actor with no criminal records. In the proposed network, identity of individual validator and trust to independent and non-affiliated participants will secure the consensus. POA Network has created a unique model where network operation decisions are voted upon by private nodes designated by a single individual. This individual initializes the network and gives voting power to the individuals running the nodes. This structure appears similar to the classic board of directors appointment for companies that are publicly traded, knowing this it's evident how scalable this technology will be as it provides confidence to stakeholders in control. 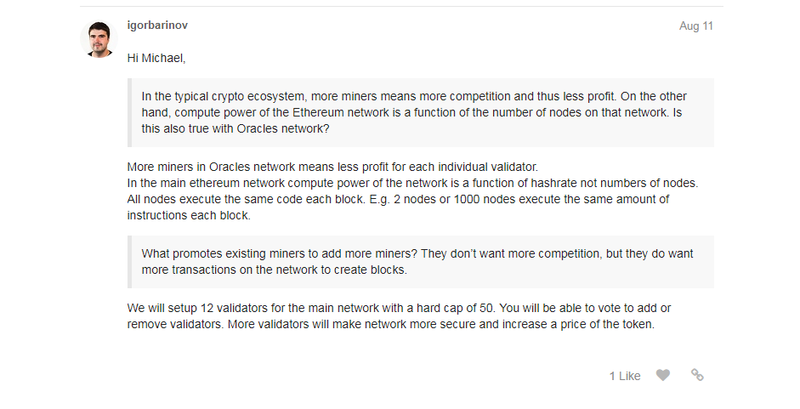 Collusion of validators (nodes) is a risk which is only somewhat mitigated by the use of a non-affiliation agreement, the master of ceremony must effectively make the best decision based on their own discretion when the initial keys are distributed, mistakes could be costly in the long run. Securing a network with more trusted validators is optimal for the network but does not implicitly mean an increase in the price of the currency will happen, such assumptions are contrary to basic economics of supply and demand. While we don't expect this to be the next Ethereum, we still see a lot of potential and value in the POA Network. Compared to the majority of ICOs we have looked at, we do believe it is worthy of supporting if you understand and support their consensus model.